Let's all do something for Mother Earth! April 22, 2018 will mark the 48th Anniversary of Earth Day. Growing out of the first Earth Day 48 years ago, Earth Day Network, a global NGO that works on environmental issues, today engages with over 50,000 organisations in some 195 countries. Over a billion people worldwide will come together to commemorate Earth Day and we look forward to your playing an active role for a greener, cleaner and less polluted Earth. As in previous years, this year as well, Earth Day Network is running a campaign titled Shahar Green Karo to mark the occasion. 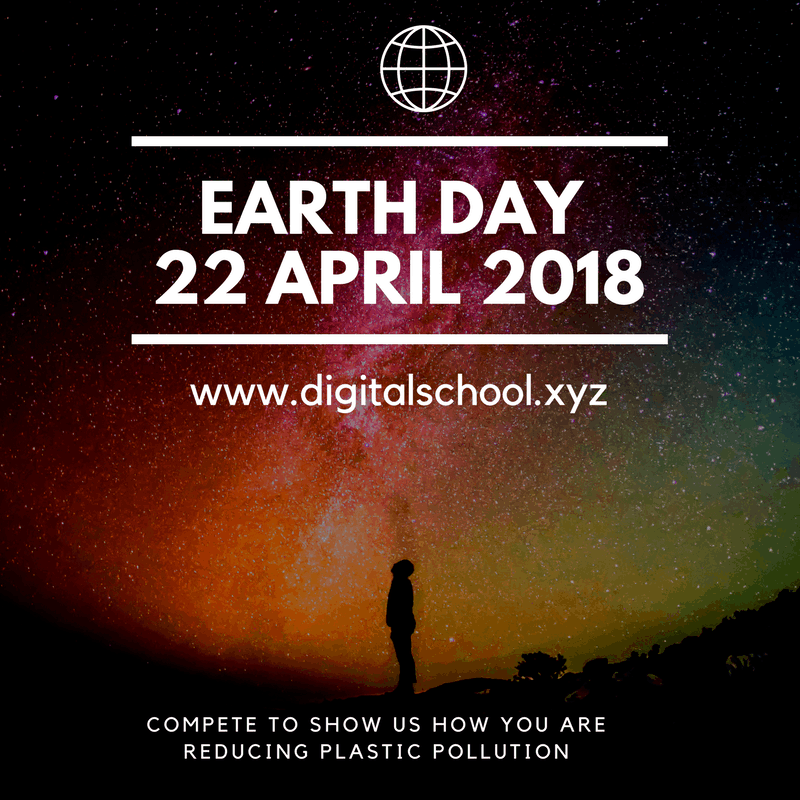 Compete to show us how you are reducing plastic pollution, a product that is often non-biodegradable and could continue to pollute Earth for hundreds of years. Send in your entry with pictures of your green campaign to #EndPlasticPollution. We will showcase your efforts on social media. As an Out Reach partner of Earth Day Network India, Digital School took up the responsibility of creating mass sensitization about ‘Say No To Plastic Bags and Low Carbon Life Styles Campaigns’ in Andhra Pradesh and Telangana states. 'Say No To Plastic Bags' and 'Low Carbon Life Styles' are the Earth Day Network India’s campaigns. ‘Say No To Plastic Bags’ campaign aims to reduce the number of plastic bags used in India and to suggest alternatives to these such as paper and cloth bags. ‘Low Carbon Life Styles” campaign aims to make people aware of the need to lead Low Carbon Life Styles by the judicious use of energy, and by opting for renewable energies. Hyderabad, Vijayawada, Visakhapatnam are the three cities selected to be part of the competition in AP and telangana. The residents of one of these three cities are invited to send an entry and win prizes. Results will be declared in May 2018.